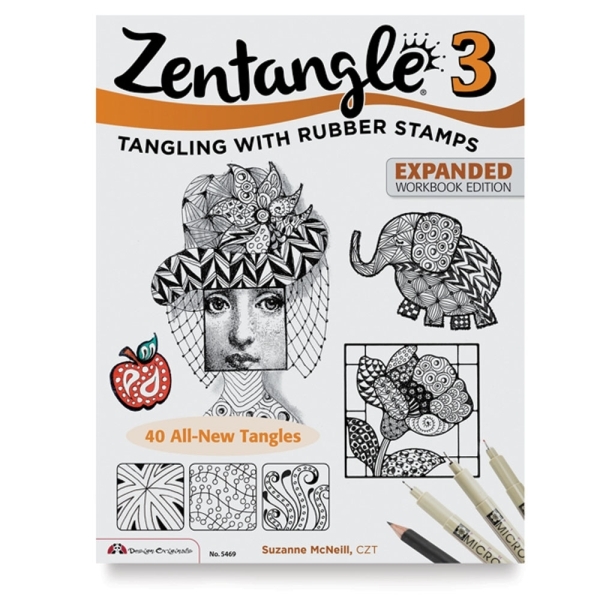 Stamp your way to new levels of creativity with Zentangle 3, Expanded Workbook , containing more than 40 projects that combine Zentangle with rubber stamping. In these pages, continue your exploration of tangle possibilities and learn a host of new techniques. The book is packed with plenty of ideas for creating rich and delightful graphics. Paperback. 32 pages. 8½" × 11" (22 cm × 28 cm). 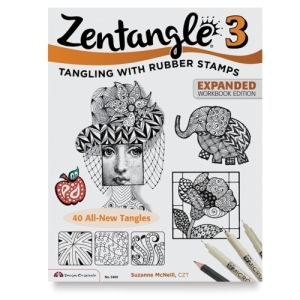 ® Zentangle is a registered trademark.